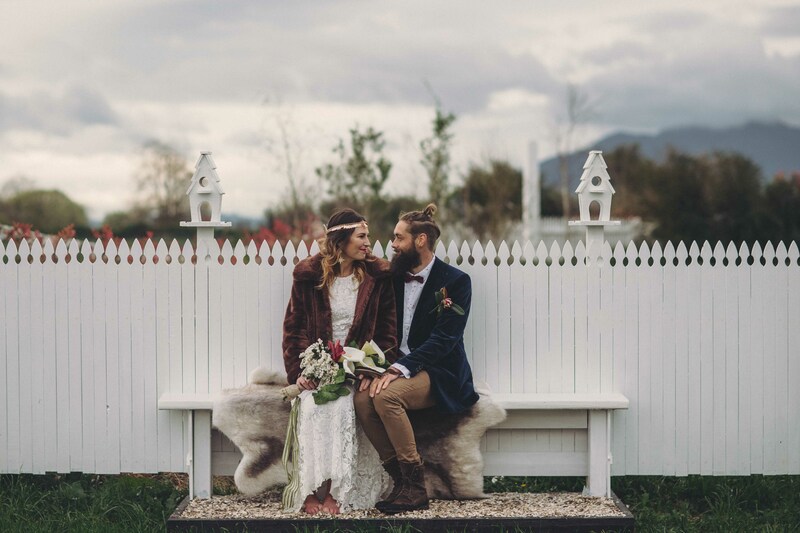 One of the hardest things about planning a wedding is finding that special venue that not only suits your style but also allows for everything you have dreamed of to make your day uniquely yours. 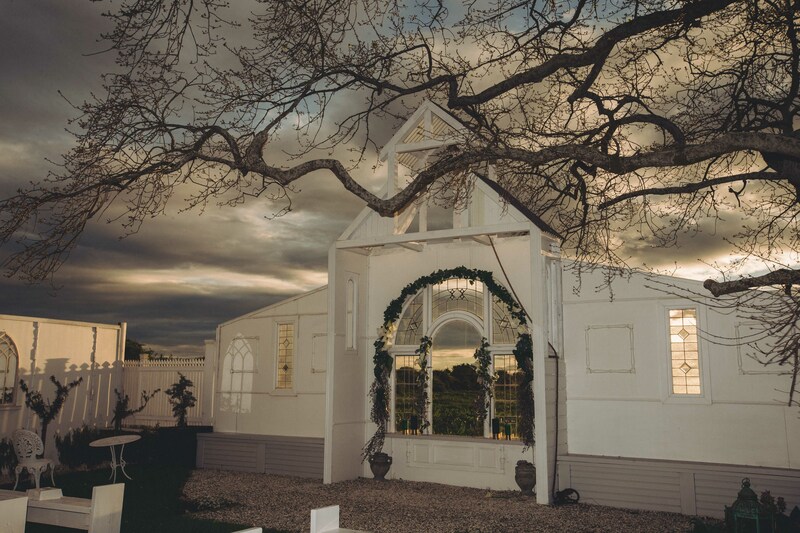 Well, we might just be able to help with that…behold The Hall a boutique country venue set in the rolling countryside of Te Aroha. And as it happens, the name Te Aroha comes from the Māori name of Mount Te Aroha. … The name is often rendered in English as “place of love”. 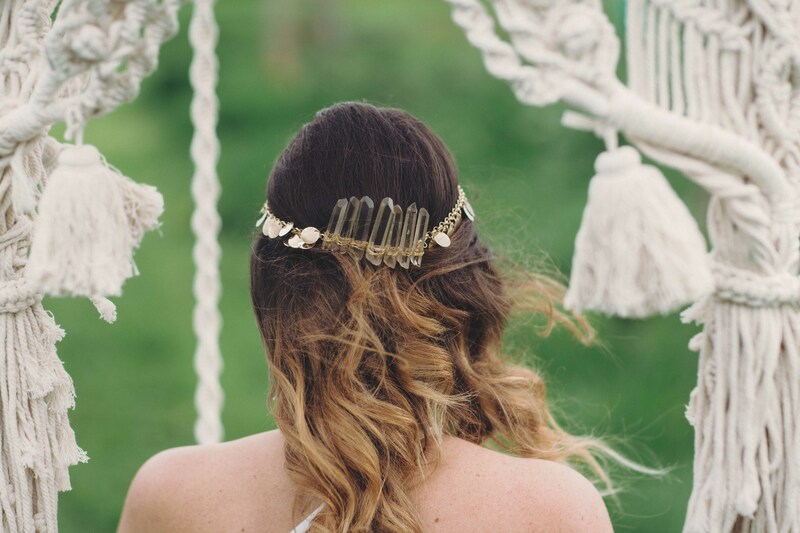 What could be more fitting for a wedding? 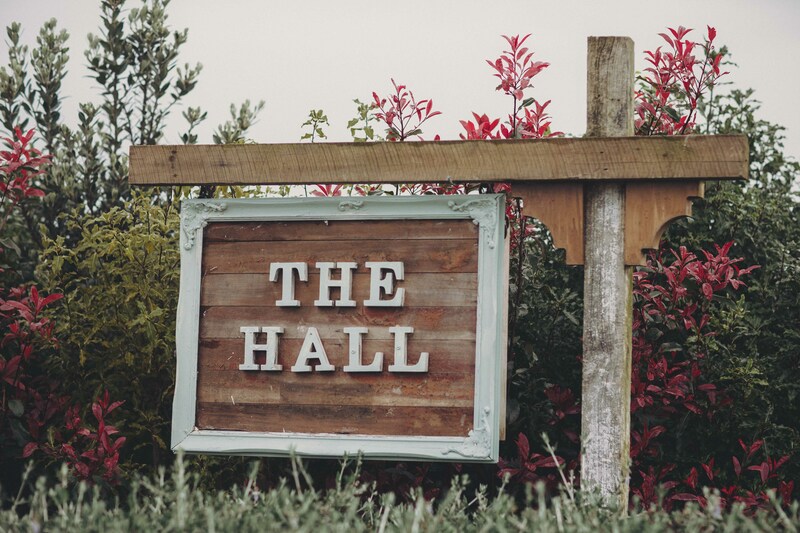 We talk to owners of The Hall about their business journey and indulge you with a styled shoot created at The Hall so you can see this gorgeous venue in all of its glory. 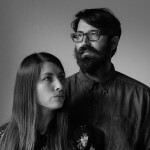 Eugene and Joanna have been involved in the creative music & design industry for many years. 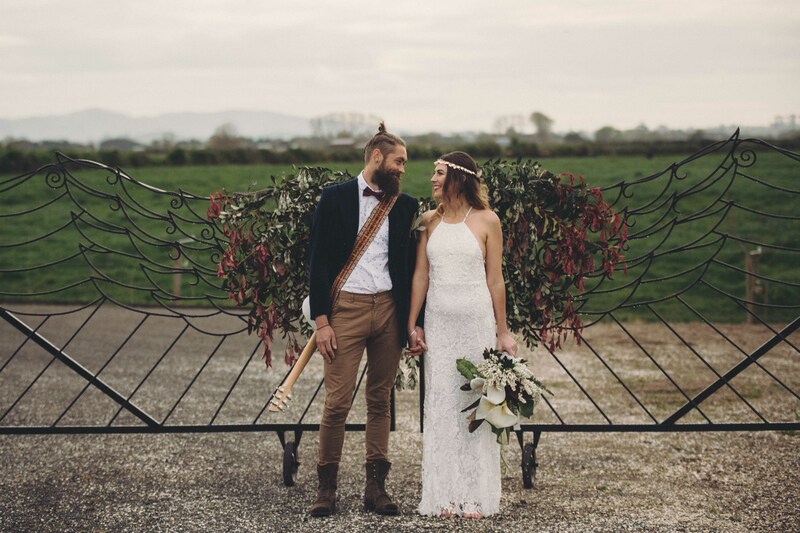 About 10 years ago they joined forces & Five O’Clock Shadow Band & Dj hit the road playing all over NZ at many beautiful weddings, along the way they meet loads of very cool couples & talented industry peers who inspired them. 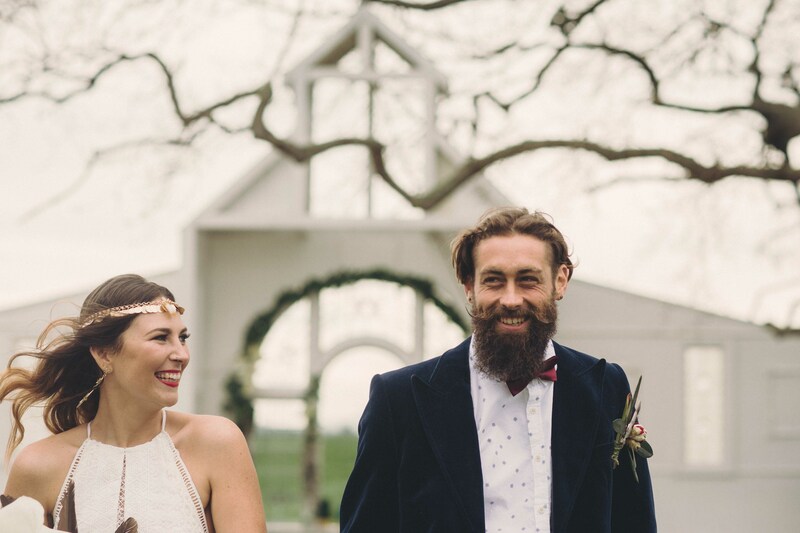 4 years ago they were perusing Trade Me (NZ’s equivalent to Ebay) doing a bit of dreaming about property – and they spotted an advert that said Paddocks with large building makes great hay, best bowling floor in the area, intrigued they decided to visit and found an abandoned building on a large country property with a history as a dance hall, church and school. 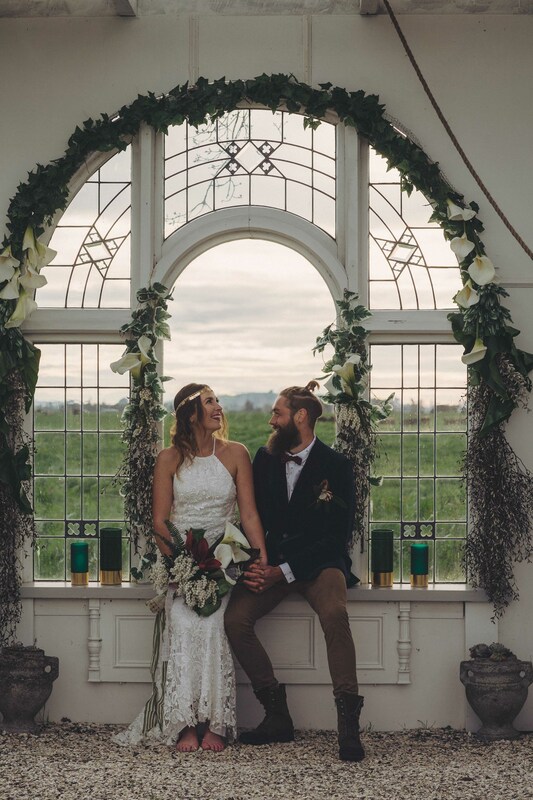 They feel immediately in love with the history of the building and the golden fields it sat in. It needed a lot of love having sat empty for almost 20 years – so over the next few years they poured a huge amount of effort & money into a massive restoration, learning new DIY skills, working with council to get our resource consent, and creating a landscape around The Hall that is unique with architectural pieces from historic buildings that were salvaged from the Christchurch quakes. 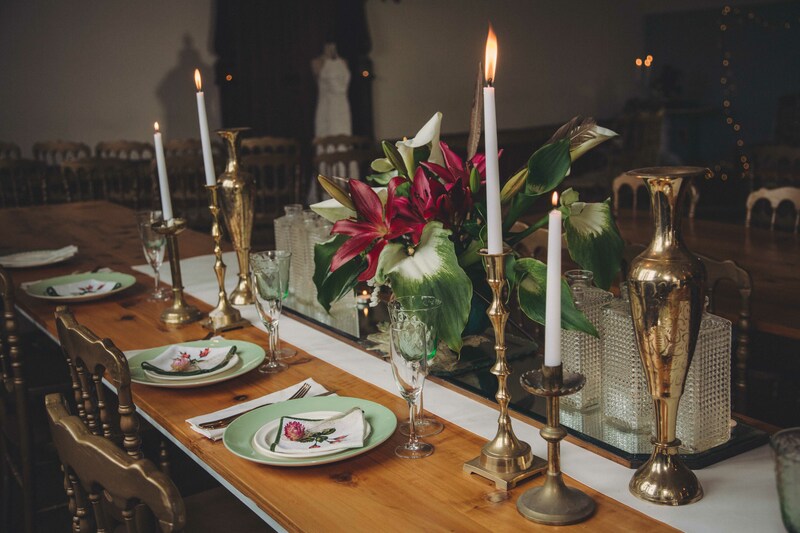 They now host beautiful country weddings with a sense of timeless elegance in a way that makes people feel at ease and enjoy the “specialness” of the celebration. Eugene has been a professional musician for his whole adult life with music is his one true passion it goes without saying that creating the right environment for entertainment at The Hall is key. 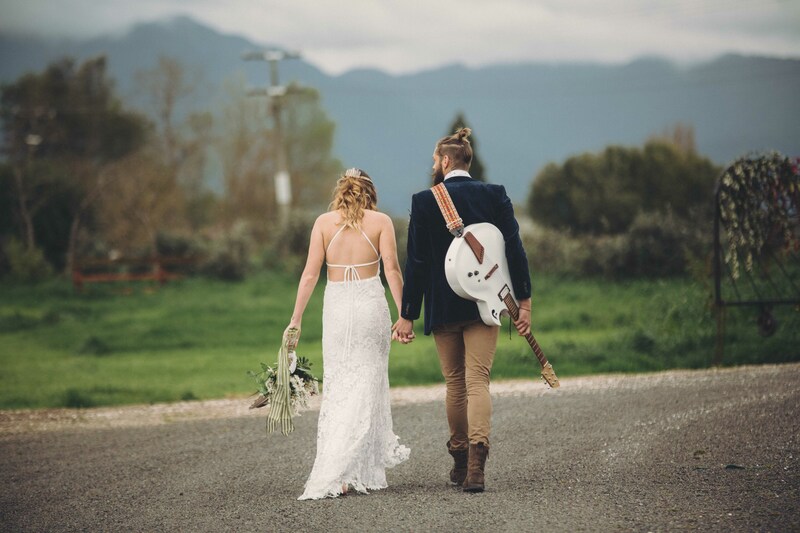 Creating the right vibe is so important to the quality of a venue, the right lighting, quality sound equipment and a cool vintage stage at The Hall creates a great party vibe in the evening and the addition of an outdoor stage for afternoon acoustic music has been a great hit. The Hall also operates as a boutique recording studio for original artists. 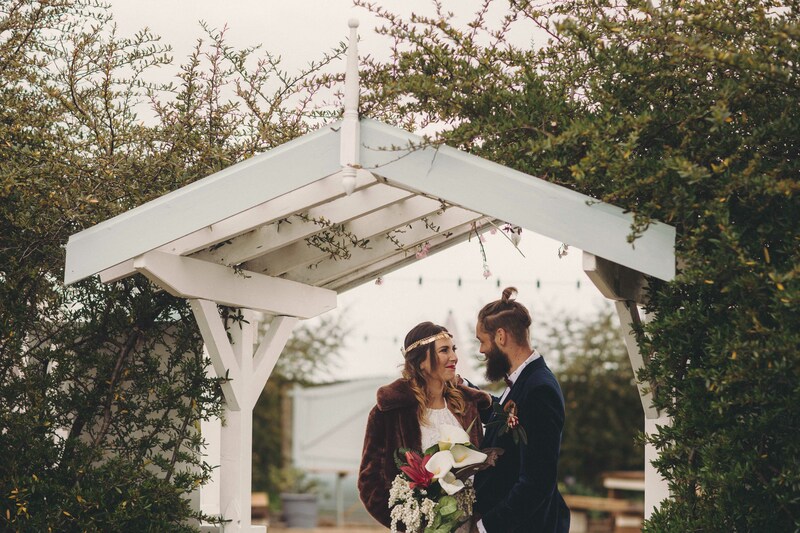 Joanna has a background in design and has created the design of the Bell Tower Ceremony Area, Love Shack, angel wing gates & the Secret Room. 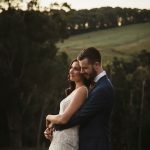 Her love of creating beautiful scenes means that there are many interesting photographic opportunities for couples to use for unique wedding pictures at The Hall & the surrounding property. 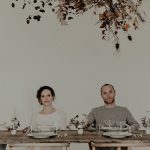 “There is a beauty about the history of The Hall that has really imprinted itself on the dance floorboards and the existing vibe here is one that really resonates with people, there is an elegance here that is tinged with an informality that makes people feel they can truly enjoy themselves. People feel good here, they dance, laugh & generally have a fantastic time.” Many people’s parent’s and grandparents got married in a dance hall and love the idea of being able to honour that history & celebrate in the same way but with the added beauty of it being located on a private country property with an ancient Oaktree, outdoor Belltower chapel & a courtyard that has been specially designed with weddings & photography in mind takes it to a different level befitting of a special day. 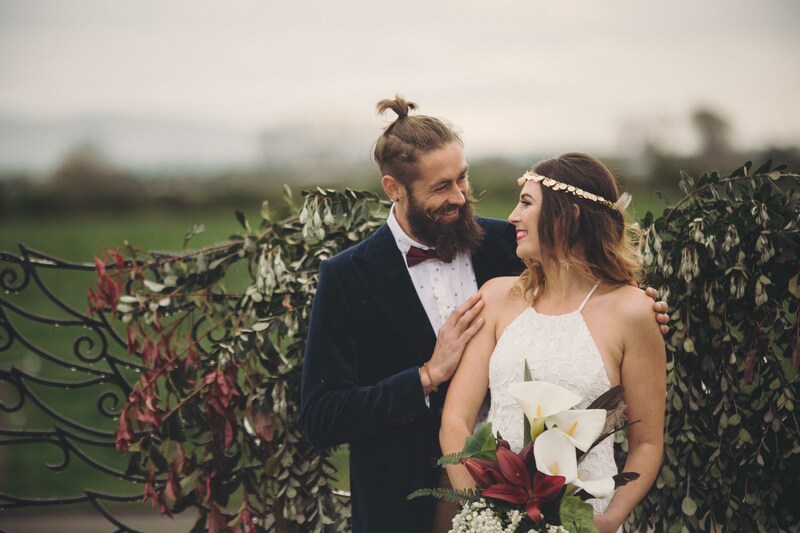 As well as offering a Freedom Hire Option where couples can bring in their own choice of vendors & an elopement option we also offer a limited amount of Golden Glow Packages per year which is the best of everything we have to offer through our contacts & experience: all day music, fantastic food and access to our vintage caravan bar, vintage vehicles, prop collections plus more. 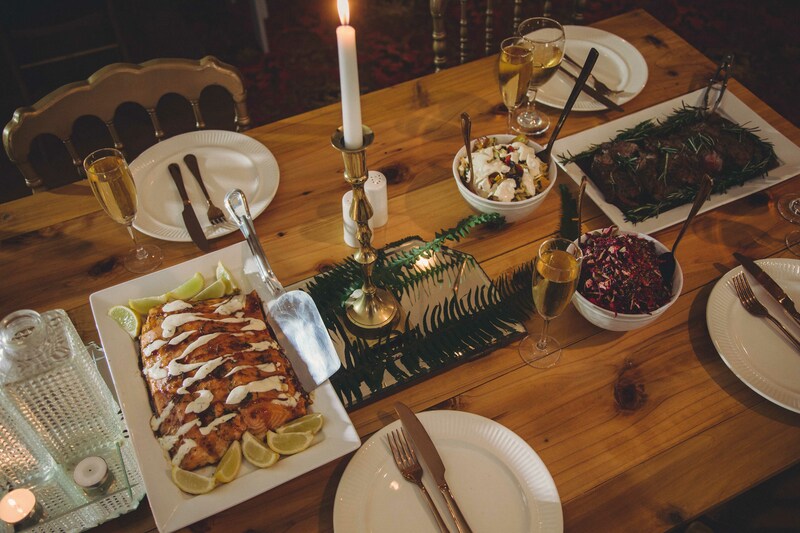 Having tried so many caterers at different weddings around NZ we have chosen caterers who cook with love and create and delicious meal with locally sourced ingredients. 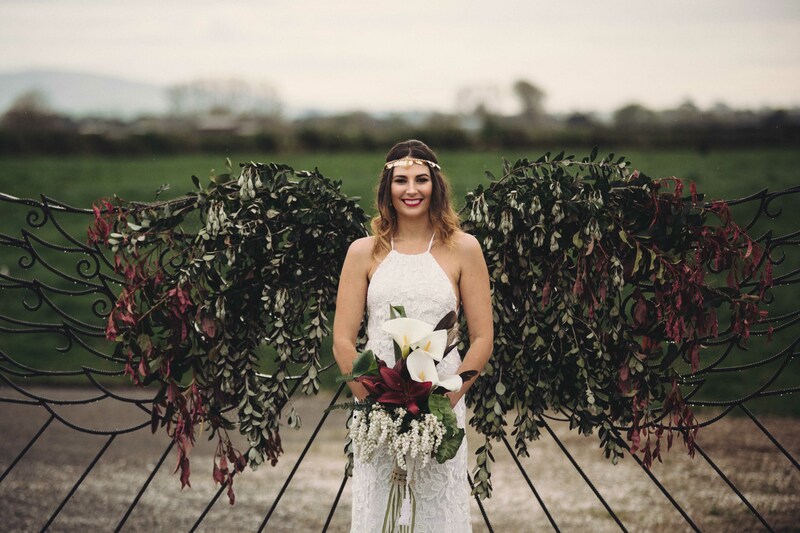 We have been involved from coordinating the ceremony through til the end of the evening at 100’s of weddings all over NZ we have gained valuable insight about what works & what doesn’t and are truly passionate about it. 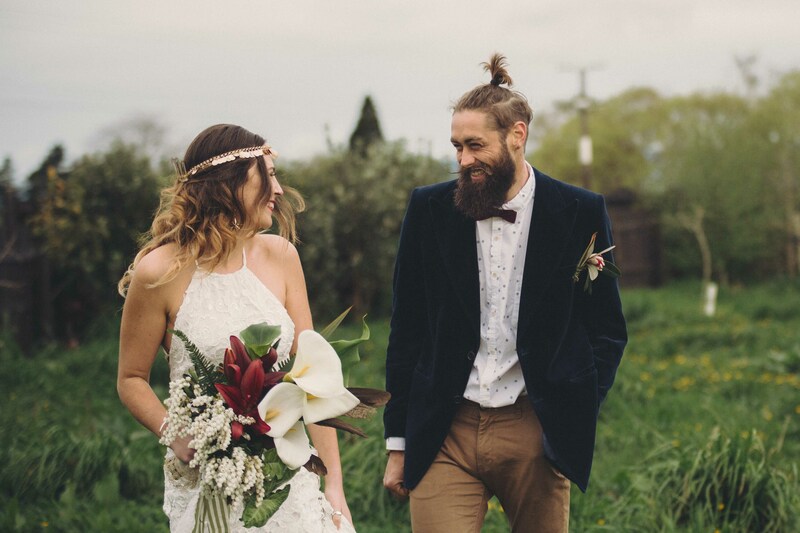 The Hall is located in a beautiful central country location with views to Mt Te Aroha the mountain of love & the Kaimai ranges, it is a destination venue that offers a beautiful & interesting area for people to stay & many couples & guests choose to stay & enjoy the beautiful thermal pools, converted villa accommodation, wetland & bush wetlands and the photography opportunities the area offers. 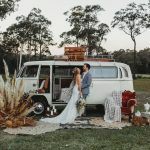 We love hosting fun loving independent couples who want a beautiful wedding with unique features to them. We love mum’s who can’t stop smiling, proud dads & nana’s who don’t want to go home. 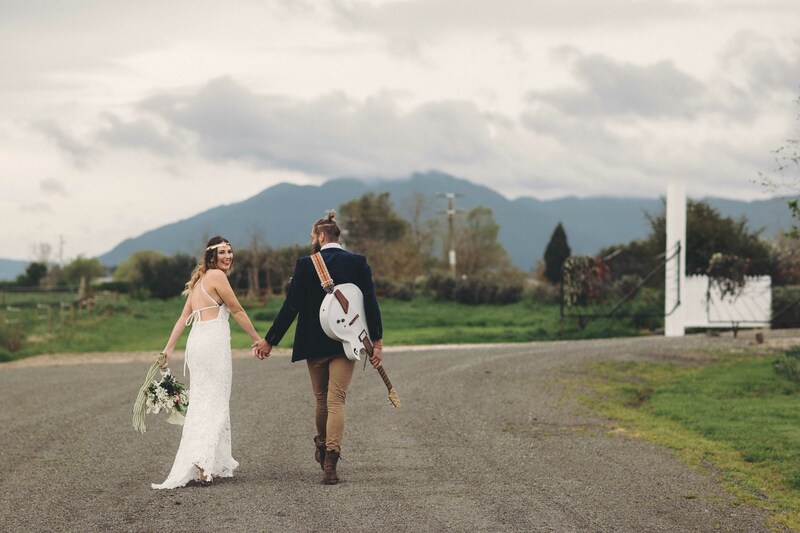 We love couples who love music & great food. 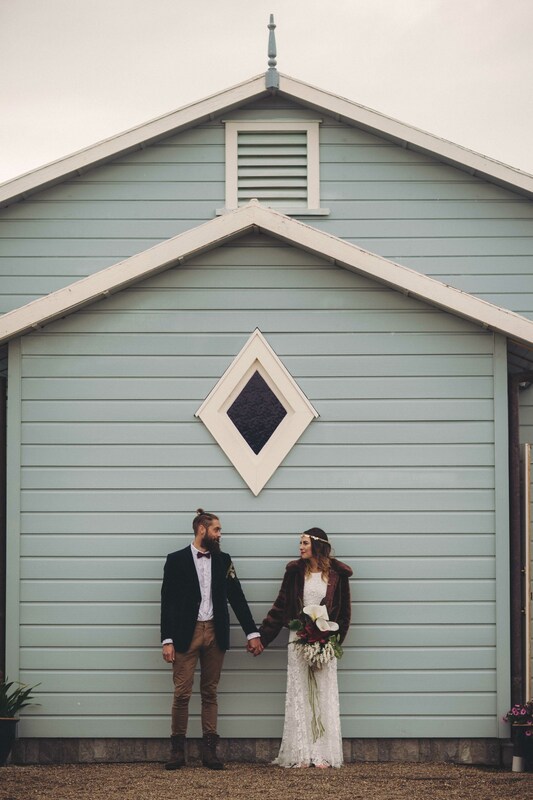 We love crowds that are here to enjoy themselves and truly celebrate the couple for who they are and the love they have found. 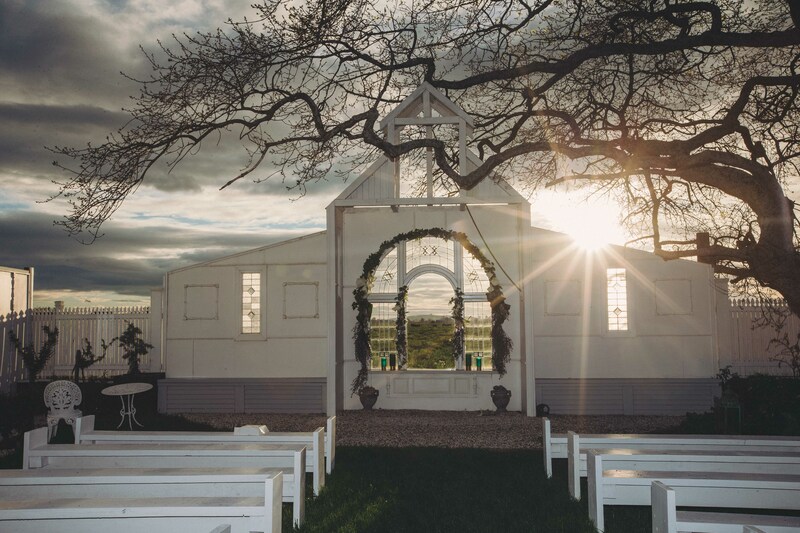 The perfect day: A couple declaring their love in a heartfelt under the old oak tree witnessed by those who love them. 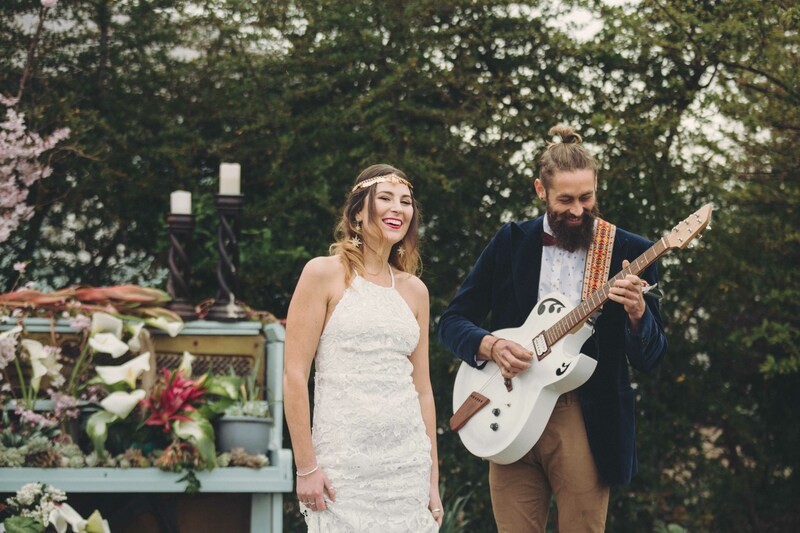 Followed by a fun afternoon in the courtyard with live music & yummy food, drinks being served from our cute vintage caravan Ivy, people laughing and having fun. A delicious evening meal shared with love, laughter & stories shared. A rocking dance floor and happy faces. Eugene grew up in Taranaki & was inspired and supported to do his first musical hall gigs as a teenager by artists Michael Smither & Tom Mutch. Music is a constant here as we work and build, with ever-changing playlists & live recordings of original artists in The Hall. Inspiration comes from the many talented people we are blessed to associate with. Physically – we love organic artists who create unique things and we always opt for either vintage or handcrafted items over mass produced, I marvel over the intricate leadlight glass work, hand-turned wood carving & crafts work of the pieces we have used in and around The Hall and I often wonder about those craftsmen from long ago. 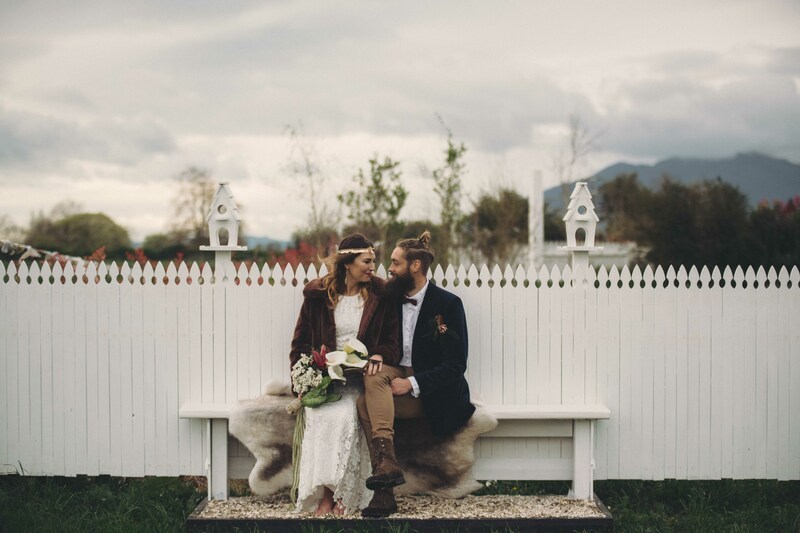 But most of all I would say that we are both inspired by nature and the beauty of the land we live in, we love the sun & moon rises over the Kaimai mountain range, the spectacular sunsets that alight the fields and stopping to take in “Golden Glow hour” the beauty of the land has been sustaining & inspiring. 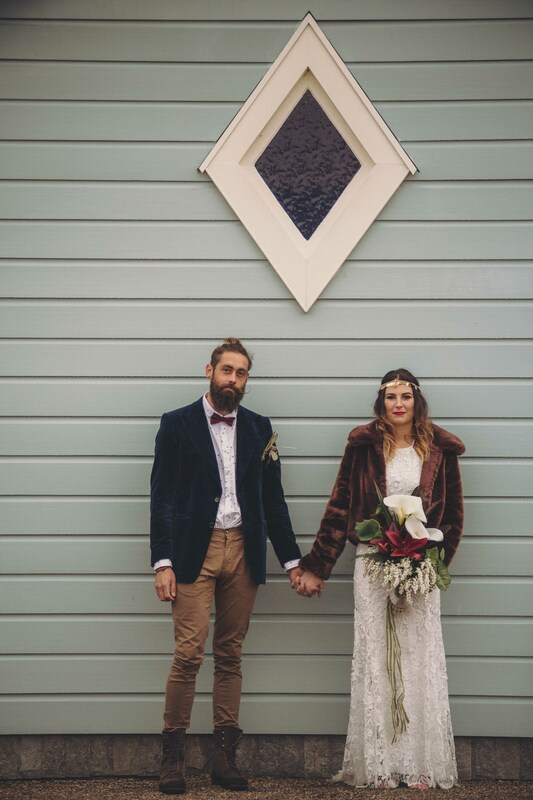 The inspiration for this shoot: Life together as a couple is a journey of growing & changing, making history and holding hands through the transitions of the seasons of love. 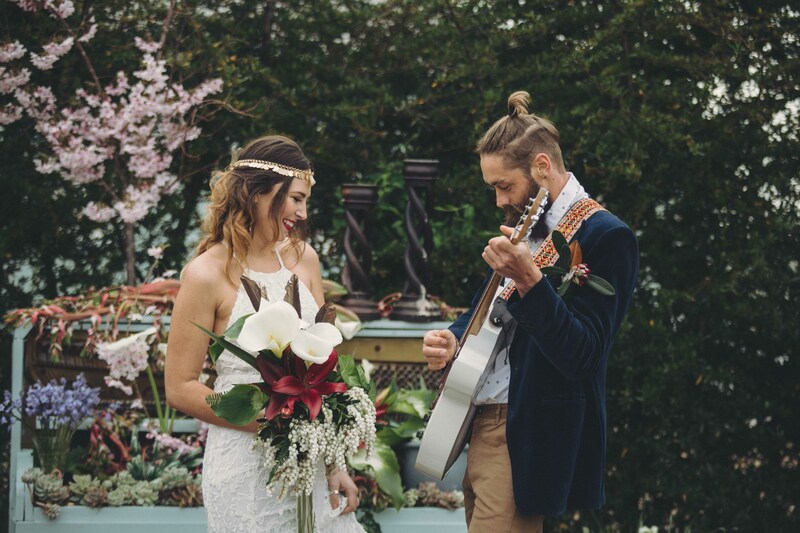 Our shoot was inspired by a love of music, being true to yourself as an individual, as a couple and in the creation of your wedding day. 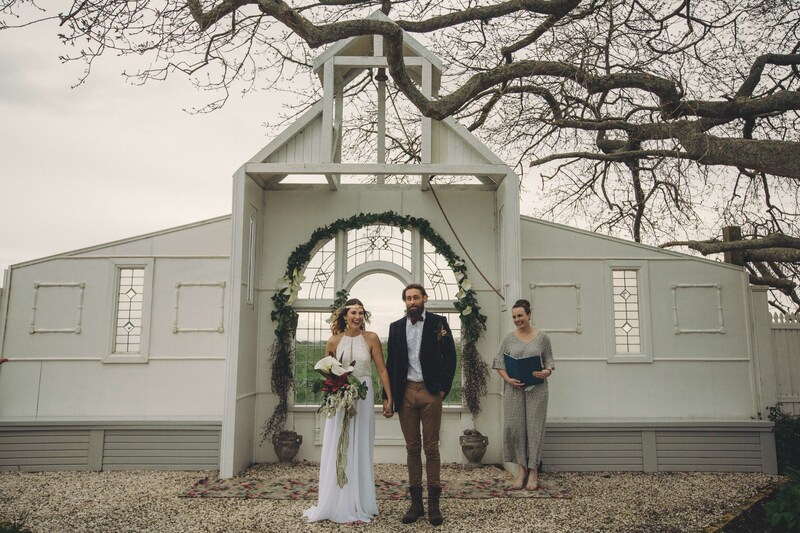 The esthetic was created and inspired by the hidden gem of a location The Hall venue & the surrounding spring time countryside. 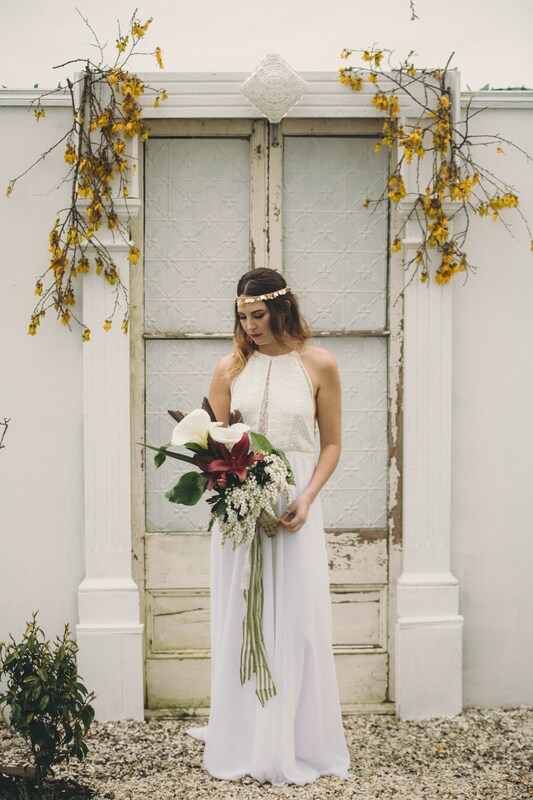 Heirloom pieces & florals from the Mayflower Meadow were used to add a sense of timeless elegance & history. 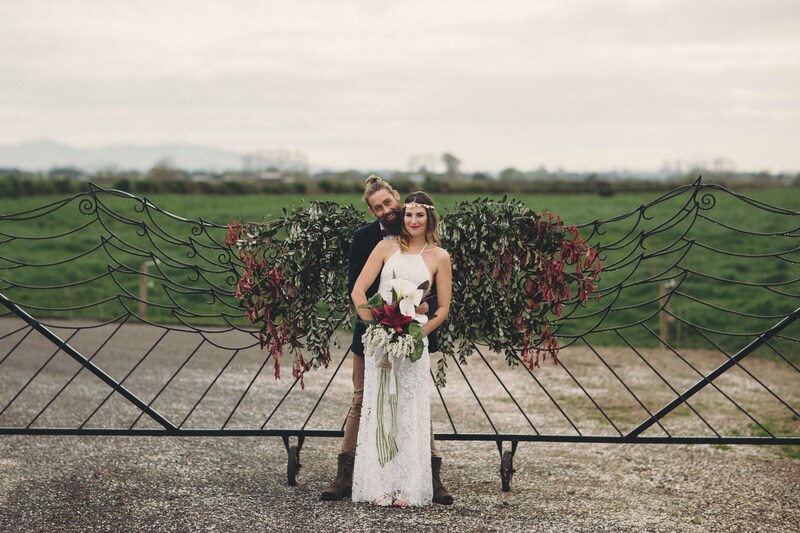 Floral work with flowers from the surrounding mayflower meadow, orchard & old farm house. 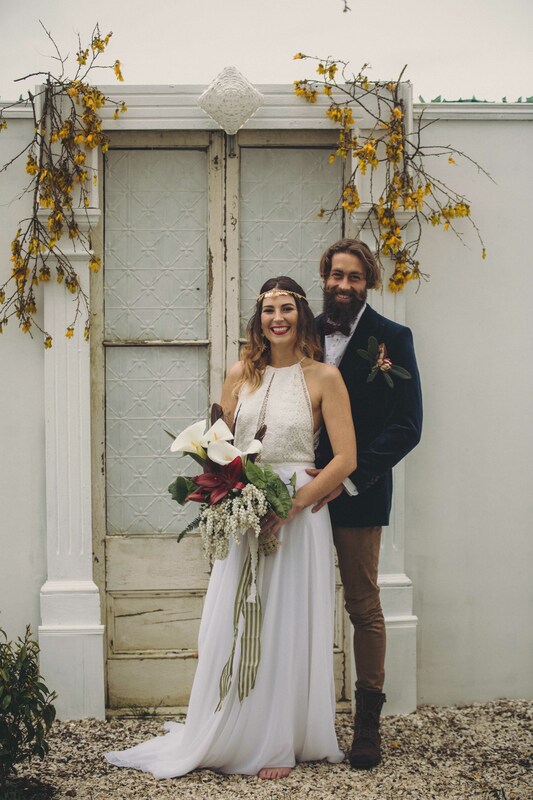 The bouquet is tied with 1930’s emerald & white silk & includes gathered chocolate brown hawk feathers & the buttonhole also has a hawk wing feather & is bound with emerald green silk threads. 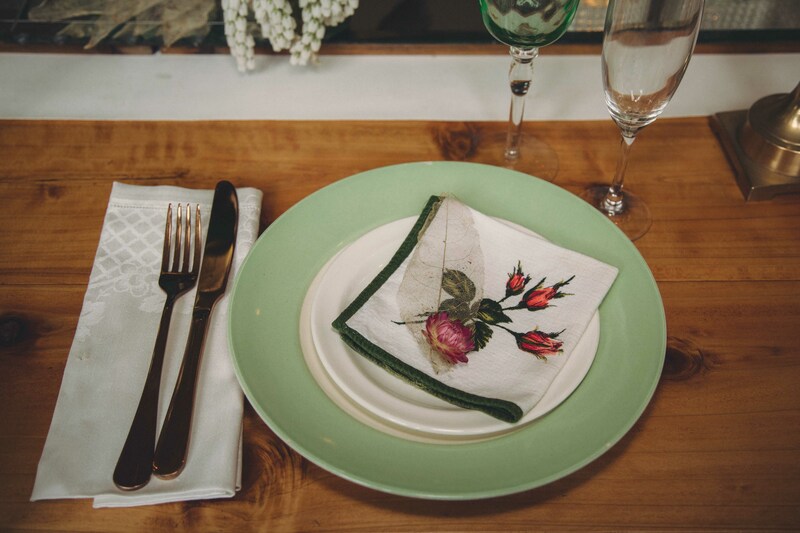 Pops of emerald feature in the vintage bohemian glassware, vintage Crown Lynn crockery & florals to symbolize the freshness of the new growth of spring & the newness of married love. The green vintage car is a rare Humber 80 called Pepper & is a resident at The Hall. 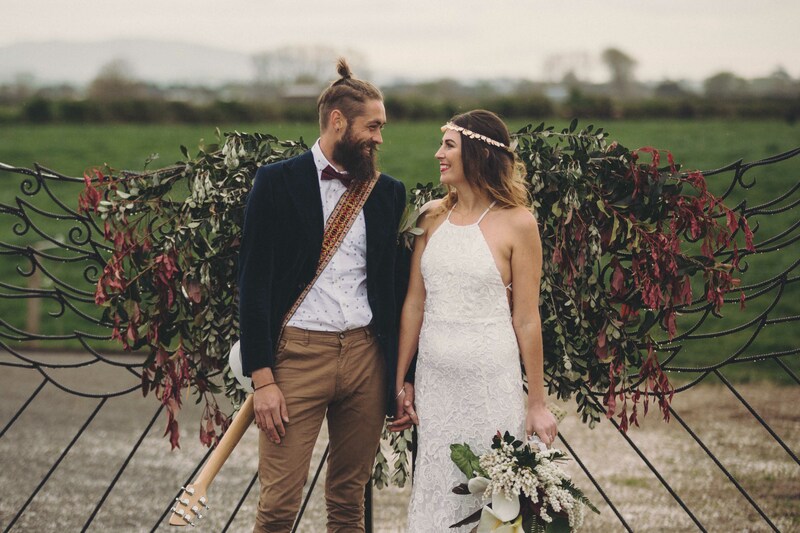 We hope that this shoot inspires couples to create a sense of joy & fun on their wedding day.